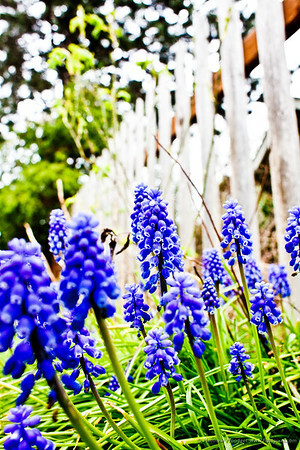 flowers | Photography, Storytelling, & Growth Marketing by Matthew Woodget. When I embarked on my 365 Project this year I didn’t know what to expect – apart from allot of learning. What I certainly didn’t expect was that an intentional, architected, photo of the day would make it through the selection process into the 2011 Microsoft Photo Book (an effort by the photographers @ Microsoft that raises money for charity). I always thought that it would be my more grandiose attempts. I’m excited to announce the Tulip Glow has made it into the book – I’m even more excited to say THANK YOU to all my friends and followers who helped select the photo by voting on my initial selections. Photographers interested in the ‘how’ can see a description of this photos project below the photo itself. It started as a ‘desperation shot’ for my 365 Project. It was late, I hadn’t taken any other photos that day. My aim was to get something ‘quick’. As I started exploring the fresh flowers my wife had bought. The primary lighting was an overhead halogen spotlight. Other light sources were the highly reflective metal table (Diner Style) and the main kitchen light (a double CFL). It is three blended exposures (HDR, Photomatix) – This enabled me to get rich detail in the highlights and keep all the shadow detail. Single exposures lacked not just dynamic range but also depth of detail in the subtle grooves of the petals. 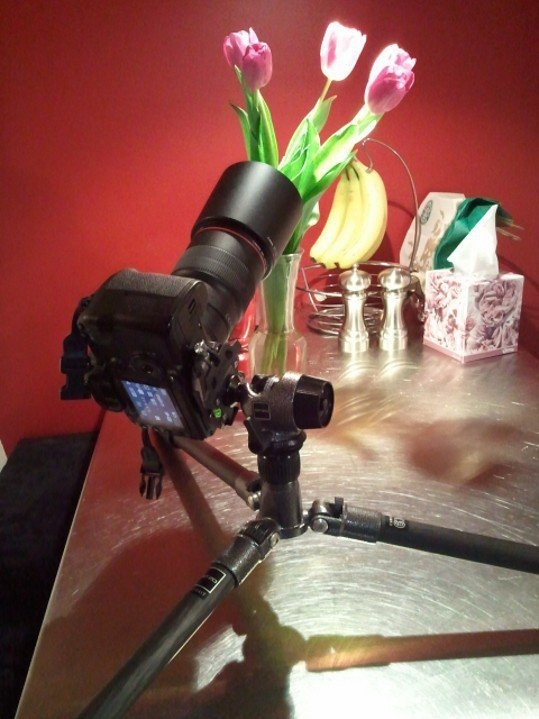 It was photographed against a red wall in my kitchen (see below for set up shot) the high f-stop used resulted in such a reduction of the depth of field little was visible beyond the subject. …I spent an inordinate amount of time fiddling with the flowers to get a composition that I liked. Quite amazing actually how many iterations of one Tulip there are. 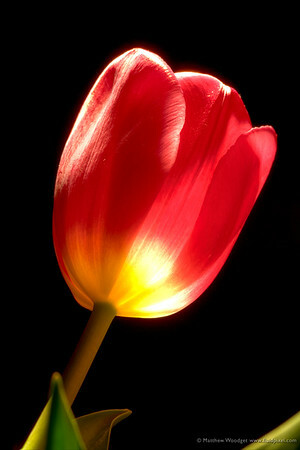 Angles, petal arrangement, lighting (how is it filling the Tulip, hitting the tulip?). And the biggest challenge of all – getting some essence of leaves and stem to provide context and pleasant framing. Experiments without the leaves just didn’t have the same story for me. Spring from an aspiring angle, just like all those little shoots and flowers. Rising up.